We evaluate not only the pain you’re feeling, but also everything related to your source of pain. We pinpoint solutions within the complex relationship of the body’s many moving parts. This is very different than traditional physical therapy services that solve only for the immediate pain you’re feeling through a battery of one-size-fit-all exercises. 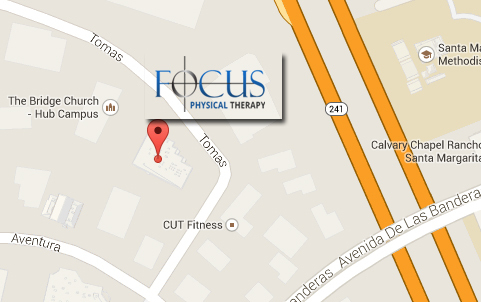 At Focus Physical Therapy (Rancho Santa Margarita,CA) we assess you as an individual and work with your unique anatomy to bring lasting results, faster.